In an everything-old-is-new-again twist, Opera Australia’s latest production of Verdi’s immortal classic Rigoletto eschews gimmickry and high concept by returning the opera to its original time and place, albeit with a twenty-first century theatrical gloss. If some of the beats in the dark psychological drama are missed, glorious singing from the three leads provides full operatic splendour. The shadow of the much-loved Moshinsky Rigoletto looms over this new, less richly detailed staging. While it cannot be denied that it was time for a new version, what is gained in interest by returning the opera to its roots is somewhat lost in this slickly streamlined production. Director Rodger Hodgman has created interesting moments in the staging, but seems to have largely left his actors to their own devices. 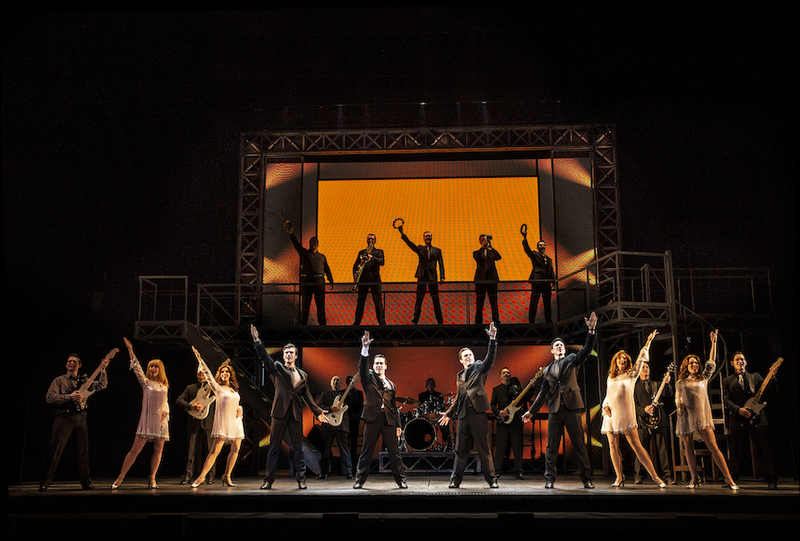 This is particularly noticeable with the chorus and minor roles, who do the nod-and-smile chorus acting favoured in amateur musicals. Little distinction is made between Count Ceprano and Count Monterone or Borsa and Marullo. So much of the singing and acting are performed directly to the front that characters do not have a chance to interact and bond in a human sense. The static blocking of the actors saps the energy and tension from what should be a gripping evening. In particular, moments like Gilda’s tragic stabbing and Rigoletto’s devastating discovery of his daughter’s body pass with barely a ripple. Richard Roberts’ large rotating sets have a darkly decadent feel, and give the scene transitions an effortless Broadway-like flow. Sparafucile’s Inn is the only underwhelming aspect of the design, looking more like a loft in a barn. Tracy Grant Lord has used a sumptuous pallet of regal reds in her costume designs, with the class system of the day clearly evident in dress. Gilda’s modest pale blue gown projects her virginal status with clarity, and Rigoletto’s jester cloak and headwear have a roughly hewn, handmade look that suits his situation perfectly. Quibbles with the production and direction aside, the quality of Verdi’s magnificent music really shines through. Maestro Renato Palumbo leads Orchestra Victoria in a rich, exciting performance of the well-known score. 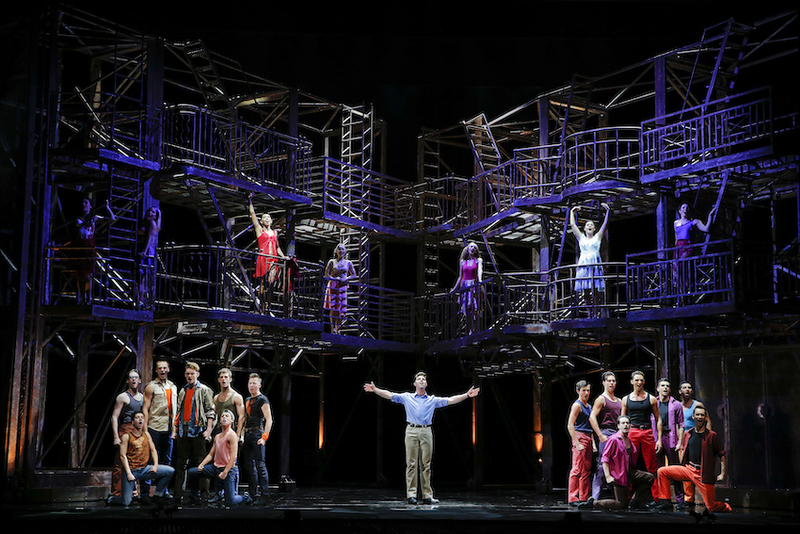 Act one party music is brisk and festive, and the musical motifs and styles of the lead characters are clearly conveyed as the opera progresses. I am usually positive about Orchestra Victoria, but this was a particularly strong performance, which stood out to my ears even having just attended four nights at New York’s Metropolitan Opera. 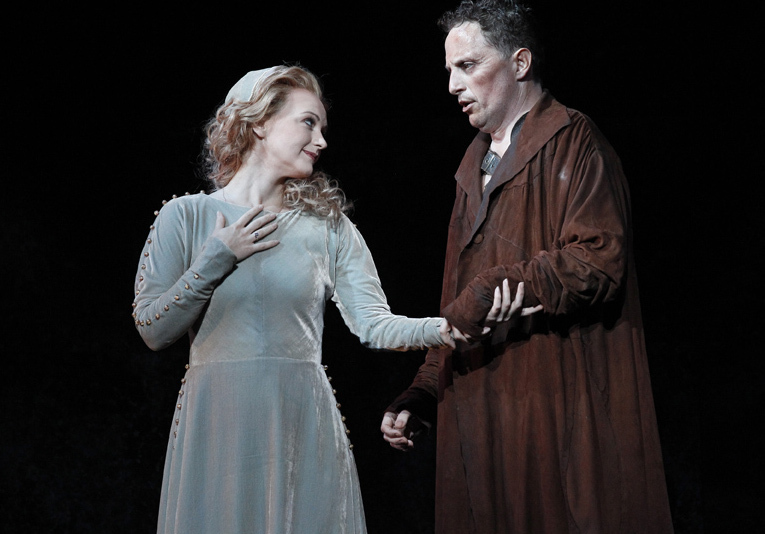 On a crest from his stellar work in the 2013 Ring Cycle, Warwick Fyfe is enjoying an extended peak period of his career. His baritone is strong and mature yet also fresh and unwavering. His vocal expression and compelling stage presence combine to allow him to make a memorable impact. 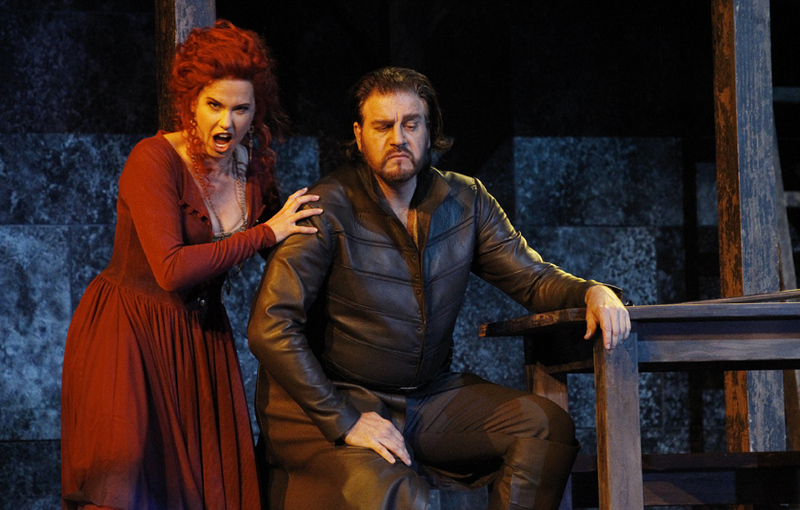 The only questionable aspect of his characterisation here is the lack of physicalisation of Rigoletto’s hump. It appears to be just an addendum to his look rather than a lifelong disorder that has crippled his self esteem. This is, perhaps, a directorial aspect rather than a reflection of Fyfe’s approach to the role. In her Opera Australia debut season, Russian soprano Irina Dubrovskaya imbues Gilda with the voice of an angel. Dubrovskaya brings significant experience to the role, having played Gilda in no less than 13 world cities. The opera really comes to life in scene two when Dubrovskaya makes her welcome entrance. Both Fyfe and Terranova sound noticeably better when dueting with Dubrovskaya’s pure, crystalline soprano, with which she expertly conveys a fragile yet burgeoning presence. The sequence of “Figlia! Mio Padre!” (Rigoletto and Gilda), “È il sol dell’anima” (Duke and Gilda), and “Caro nome” (Gilda) is the high point of the evening, with fine singing also heard in the ensuing quintet and quartet work. Of the supporting players, bass Daniel Sumegi is dripping with menace as assassin Sparafucile, and Dominica Matthews does the impossible in projecting personality and flair as Gilda’s nurse Giovanna despite being almost completely masked by headwear. Sian Pendry captures the fire and sensuality of Sparafucile accomplice Maddalena. 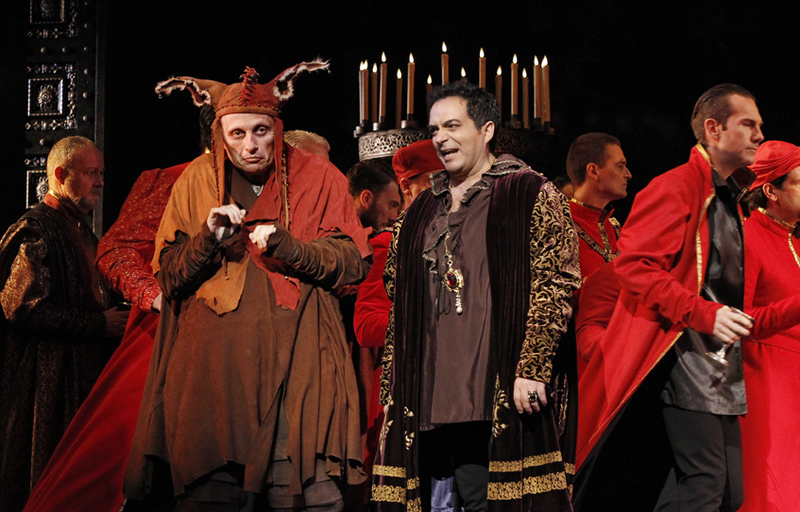 A welcome entry on any opera season, Rigoletto is sure to please fans of Verdi’s wonderful music. It will be interesting a return visit in coming years where a resident director may make more of the action. 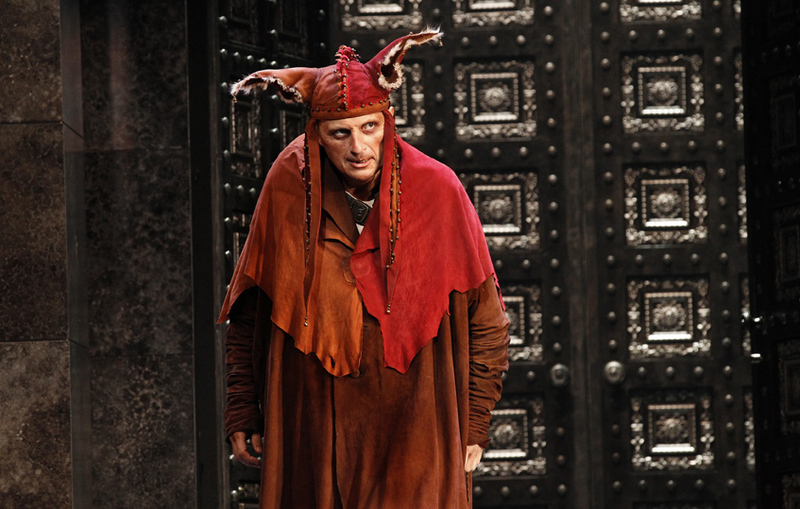 Rigoletto was reviewed 23 April 2014 at State Theatre, Arts Centre Melbourne, where it plays selected dates until 10 May 2014. This review published on Theatre People 24 April 2014.
thank you so very much for your always very precious analyse of the wonderful opera, Rigoletto in Melbourne!! We wanted so very much to attend, but you know you can not always doing what you would so very much, as Cologne in Germany – where we live – is very far! But in our hearts and thoughts we are there by our favorite, wonderful Tenore, Gianluca Terranova, whom we are following everywhere, we can, to hear his thrilling, fantastic voice and see his charismatic, magical presence on the stage!! Once again many thanks and have a great day!